The 2011 seasons of Luc Mbah a Moute (“reliable”) and Drew Gooden (very “unreliable”) failed to provide much in the way of writing material (or so I’ve found) so what’s to keep Bucks GM John Hammond from adding another another power forward type to the roster in the draft? Nothing of course, and that’s what many draft watchers thought Hammond would do even before he said last week that the Bucks No. 10 pick was one of those kinda-sorta “best player available” kinda picks. 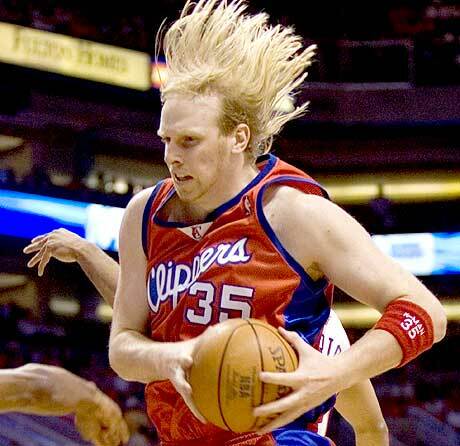 In 2008 that translated to Joe Alexander in the first round and Mbah a Moute in round No. 2. In 2010, that was Darington Hobson, “the best player available” whom the Bucks had worked out. In this draft? 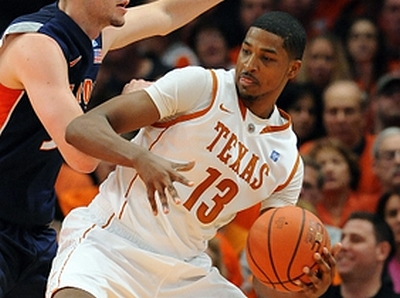 Tristan Thompson, 6-8, 225, Canada by way of the University of Texas. “The Bucks have two terrific building blocks in Andrew Bogut and Brandon Jennings – but after that, it’s mostly question marks. They traded last summer for Corey Maggette and signed John Salmons and Drew Gooden as free agents, and none of them really panned out as expected,” according to ESPN Draft Insider Chad Ford. Everybody in and around the NBA knows the Bucks need backcourt help. Unfortunately, what little backcourt help there is in the draft will likely be gone by the time the Bucks pick (assuming they don’t improve position in the lottery). The point guards (Kyrie Irving, Kemba Walker and Brandon Knight) are slated to go in the top five. Forward Derrick Williams (Arizona) will likely go No. 2. Bismack Biyombo, the 6-9 phenom from the Congo with 7-7 wing span, won’t survive past Detroit’s No. 7 pick. Three of the international big men who’ve been on NBA radar for two years (Jan Vesely, Enes Kanter and Jonas Valanciunas, in no particular order) will be gone in the top eight. The rest of the lottery board: a group of NCAA forwards plus shooting guard Alec Burks and 6-11 scorer Donatas Motiejunas (Lithuania). Ford thinks Charlotte at No. 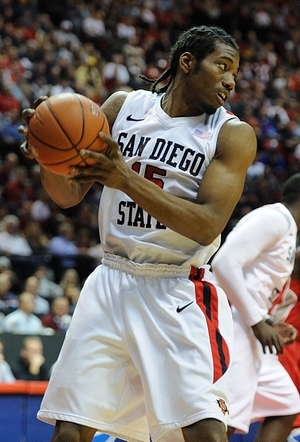 9 will take San Diego State forward Kawhi Leonard. Others have a feeling that Jordan isn’t looking for another version of Gerald Wallace and will take Motiejunas, a big forward who’s got a scoring arsenal but a disdain for defense and rebounding. In other words, he’s the least like “Crash,” whom Jordan just traded. Still others think Jordan will like Burks’ game most of all and will take a chance on the guard developing a reliable jump shot, a la Jordan himself. The questions about these players are the same ones the Bucks will be asking. Why bother with Motiejunas if he’s disinterested in defense? After being dead last in shooting and scoring, can the Bucks afford to play a shooting guard (Burks) who can’t extend past midrange? 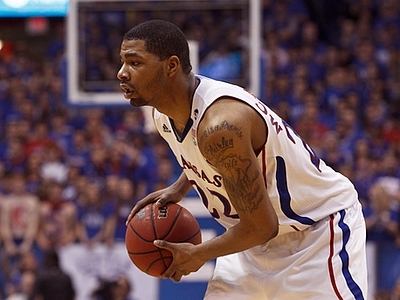 Who’s better — Leonard or Thompson or Marcus Morris, a classic 6-9 college power forward with three years at Kansas on his resume? They’ve all got knocks. Leonard and Thompson have offensive skill work to do. Morris’ downside is athleticism and short arms, mid-range shooting. The best answer for the Bucks is that hard-working Leonard fits the Bucks core personality, if for no other reason than he has a nose for winning 50-50 plays that Skiles can’t resist. But he’s also a fair bet to be off the board by the nine pick, which would leave the Bucks picking between Thompson, Morris, Burks and Motiejunas. They’ll likely shy away from Kentucky one-and-doner Terrance Jones, who’s not ready for the pros. “Best player available” would then be Motiejunas — but Thompson becomes the player the coaches want — a 6-8 defender with scoring potential (Mbah a Moute again) who can play small or big forward. Thompson would join a crowded stable of versatile Bucks power forward players, in keeping with GM Hammond’s modus operandi: overload the frontcourt while he figures out who’s staying and who’s going. The path of least resistance then becomes the trade Hammond backed himself into when he signed Gooden — Ilyasova for whatever veteran backcourt help the Bucks can get back. Ilyasova wants full time NBA power forward minutes (32-35 per game) but Skiles and Hammond have thus far been unwilling to entrust him with this. Meanwhile, Ersan’s already considering offers to play in Europe if there’s an NBA lockout. This entry was posted in NBA Draft, The Jinx and tagged 2011 Bucks reviews, 2011 NBA Draft, Alec Burks, Darington Hobson, Drew Gooden, Ersan Ilyasova, Joe Alexander, John Hammond, Kawhi Leonard, Luc Mbah a Moute, Marcus Morris, Milwaukee Bucks, NBA Draft, Scott Skiles, Tristan Thompson on May 8, 2011 by J.D. Mo. Bucks forwards: Injured rookie Darington Hobson plans return, but do the Bucks want him back? Darington Hobson, 6-7 forward, the 37th pick in the 2010 draft, has had successful surgery on both hips, is off of his crutches and will “seriously consider” resigning with the Bucks (lockout allowing), the Racine Journal Times reported this weekend. Well, that’s good news. Two good hips, no bridges burned, no hard feelings. Now what? I’d like to be able to say the Bucks had high hopes for Hobson, who turns 24 in September, but that doesn’t appear to have been the case. When he was drafted, Hobson seemed almost an afterthought. Hobson worked out in Milwaukee with Gordon Hayward, Lazar Hayward, Luke Babbitt, Jordan Crawford and Terrico White. After the workout, very little about Hobson was said by Bucks scouting director Billy McKinney — the Haywards and Babbitt got most of the attention, with shooting guard Crawford receiving high marks. The Bucks, of course, drafted shot-blocker Larry Sanders with their No. 15 pick. The Haywards, Babbitt and Crawford were drafted in the first round. White went to Detroit one pick before the Bucks selected Hobson with the No. 37 pick. Hobson, a long armed rebounder, was the last man from the workout standing in the draft. 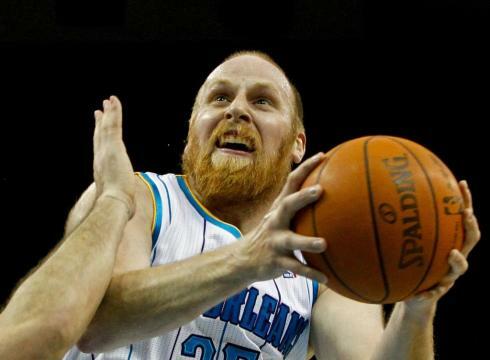 The Bucks cut Hobson in December to make room for free agent practice big man Brian Skinner. Unfortunately, the last thing the worst shooting team in the NBA needs is a 24-year-old coming off of two hip surgeries who shot worse than the 24-year-old they already have (Luc Mbah a Moute, a restricted free agent) — and has yet to prove he can play the kind of in-your-face defense that Bucks coach Scott Skiles demands. So while Hobson is seriously considering a return to the Bucks, it isn’t clear why the Bucks would consider offering Hobson a contract and an invite to camp (not much is clear given the abundance of forwards on the roster and the looming lockout). Maybe Hobson’s agent knows better (the Bucks did it once before, didn’t they?) but something tells me Hobson will probably have to look for work elsewhere in the NBA. This entry was posted in The Jinx and tagged 2010 NBA Draft, 2011 Bucks reviews, Darington Hobson, Gordon Hayward, Jordan Crawford, Larry Sanders, Lazar Hayward, Luc Mbah a Moute, Terrico White on April 25, 2011 by J.D. Mo.